le bunny bleu end of season sale! Le Bunny Bleu brings back its "Buy More Get More" promo! Now's the time to set a shopping trip with your family/friends and make the most out of these discounts. Buy 1 pair and get 20% off. 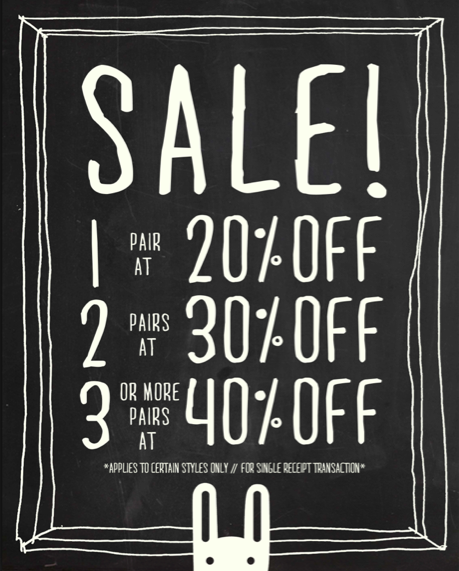 Buy 2 pairs and get 30% off. Buy 3 pairs or more and get 40% off! I want some thin crust pizzzzzaaaa!! !